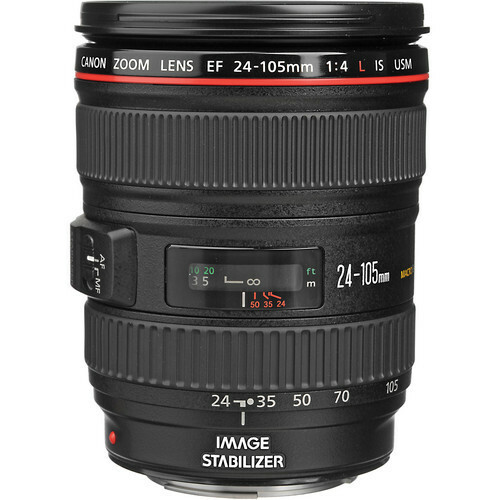 The Canon EF 24-105mm f/4.0 L is a standard zoom lens that can cover a large zoom area ranging from 24mm wide-angle to 105mm portrait-length telephoto. It is also equipped with Image Stabilizer Technology. This lens minimizes chromatic aberration and distortion, which results in excellent picture quality, even at wide apertures. Canon’s ring-type USM gives silent but quick AF, along with full-time manual focus. The is a durable yet sophisticated lens that meets the demands of advanced amateur photographers and professional photographers. Lens will be supplied with front and back cap and protective lens pouch.